Sibelius First, the premiere solution for beginning notation and composition, has been named a winner in the 2012 Tech & Learning Awards of Excellence, which are designed to honor software, hardware, network and web products that break ground or add significant enhancements to proven education tools. 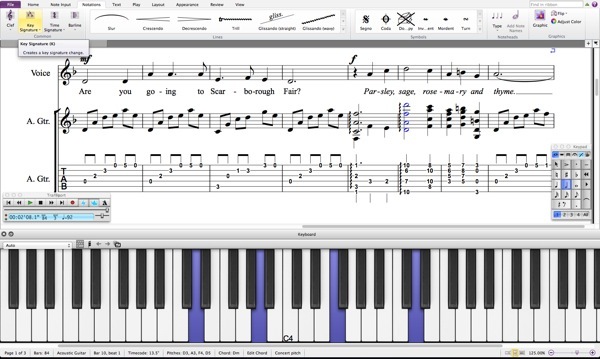 After being rigorously evaluated by a panel of more than 30 educators in several rounds of judging, Sibelius First was chosen as a winning education technology product due to its refined, task-oriented interface and new magnetic layout that help aspiring composers generate great results without prior experience. Sibelius First also impressed judges with its full 64-bit support that lets users unlock the full power of their computer and directly access more than 4GB of RAM, as well as with its MusicXML interchange that allows musicians to transfer music in and out of other applications—giving them the option to enter notes however they want. For more information, please visit Sibelius First and be sure to check out the December issue of Tech & Learning for complete coverage of the award winners.